The World Alliance for Breastfeeding Action (WABA) called for global action to support women to join breastfeeding and work. 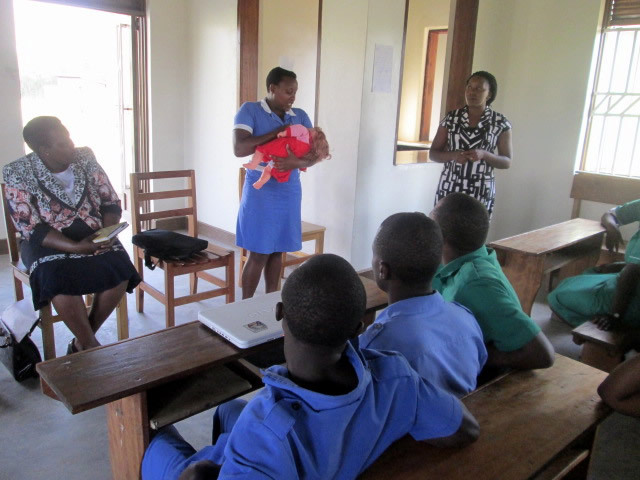 A health worker demonstrates positioning and attachment of children during breastfeeding. 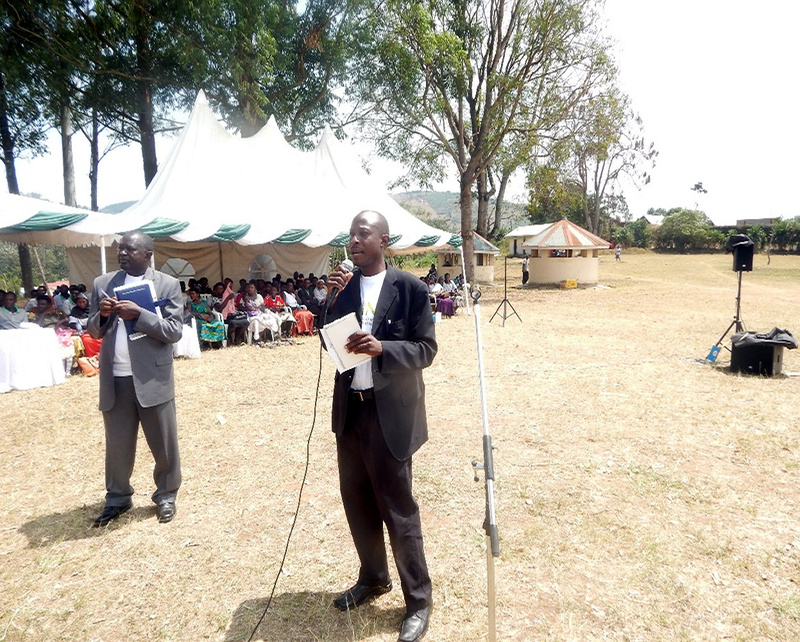 The DHO of Ntungamo, Dr. Richard Bakamuturaki, delivering his remarks. 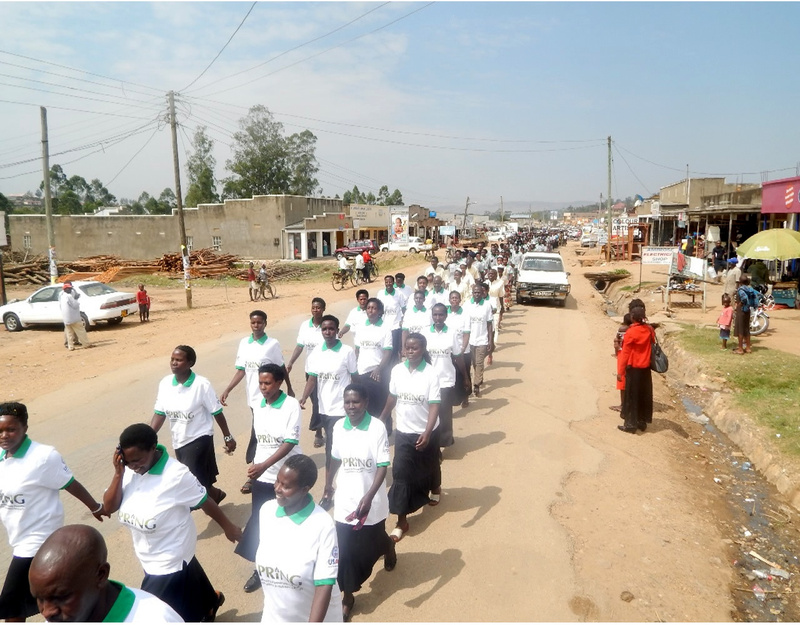 Participants marching in the streets of Kisoro during the breastfeeding commemoration day. 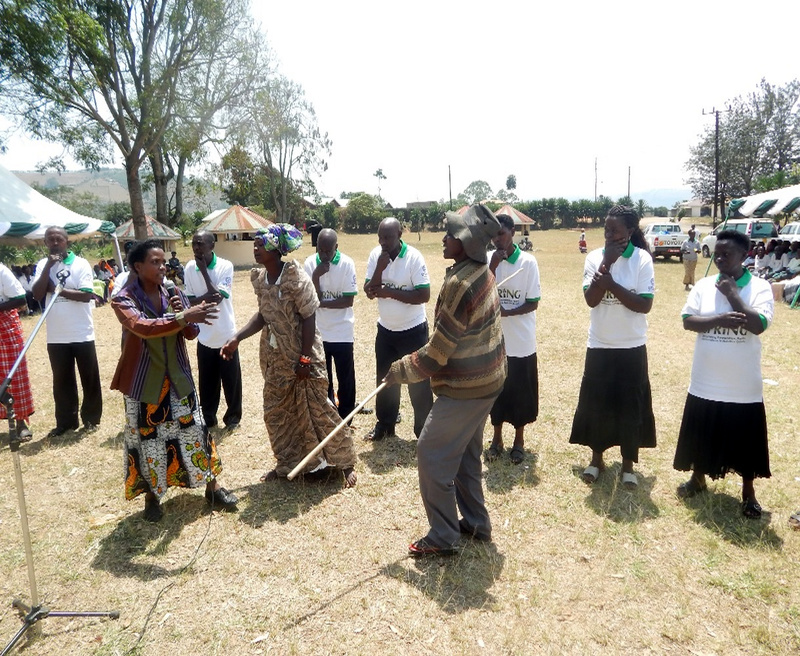 During the commemoration ceremonies, drama groups demonstrated IYCF skills. 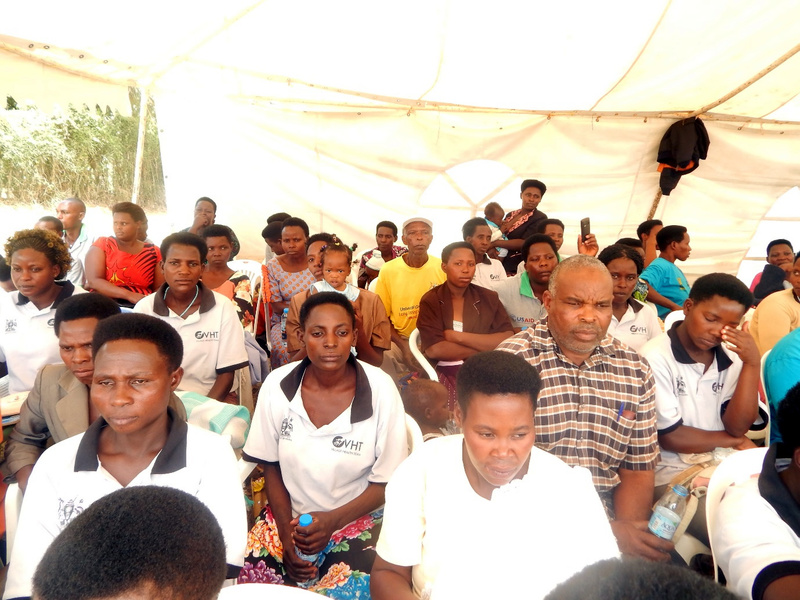 A cross section of members of the Village Health Team attending the function in Ntungamo district.